Iranian state media reports a massive suicide bombing has ripped through an Iranian Revolutionary Guard (IRGC) transport bus in the country’s southeast on Wednesday, leaving at least 20 dead and over 20 wounded. The death toll is likely to climb higher as more information is revealed. State-run FARS News Agency’s live reports have identified up to 30 dead in the aftermath. The attack follows a similar incident last September, wherein ISIS claimed responsibility for a mass shooting at a military parade which left 29 dead. The last known suicide bombing inside Iran was in 2017, making Wednesday’s bombing a rare and devastating event, especially considering it reportedly targeted elite IRGC personnel. 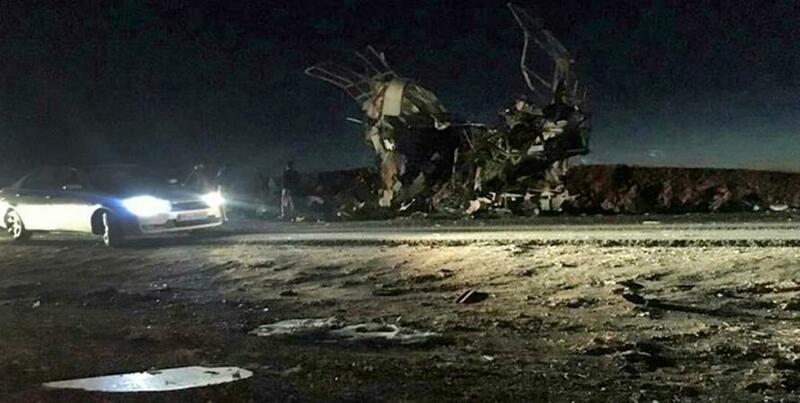 The suicide bomber struck a bus transporting IRGC members on the road between the cities of Zahedan and Khash in Sistan-Baluchistan Province, a volatile area near the border with Pakistan where militant groups and drug smugglers frequently operate, Fars reported. Though it’s not immediately clear who’s behind the bombing, ISIS-linked groups have been behind prior attacks, including the June 7, 2017 attack on the parliament building in Tehran, as well as the important Shia religious site of the Mausoleum of Ruhollah Khomeini. A total of 17 civilians were dead and 43 wounded as a result of the 2017 terrorist incident, which Iranian authorities blamed on both ISIS and Saudi Arabia. The IRGC’s Qods Headquarters said in a statement that an explosive-laden car rammed into the bus, which was taking the personnel back to their homes. The video posted by Fars showed blood and debris on the highway at the site of the attack, but few other details have been given. In the past Tehran’s leadership has pointed to state sponsors behind such terror attacks, including Saudi Arabia and Pakistan.